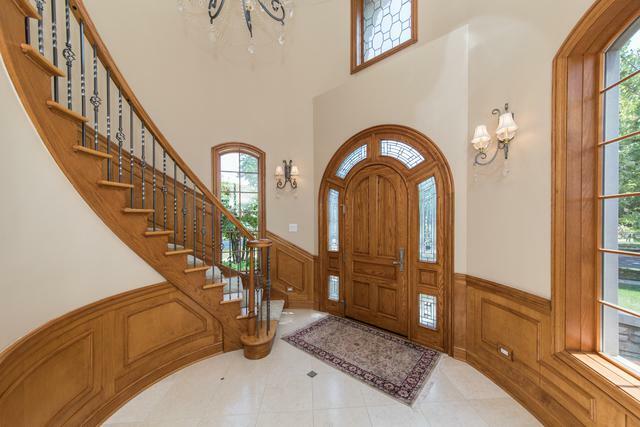 Open the door to prestige and elegance! This one of a kind custom built has all the refinements for gracious living. Gorgeous 24 ft. turret entryway opens to sunken living room w/ fireplace & adjoining dining room w/ custom built-ins & bookcases. Butler pantry has copper accents & wine fridge. Enormous gourmet kitchen with commercial grade appliances, lrg island & walk-in pantry. Kitchen eating area w/ walk-out to patio & yard. Unique design glass & wood wall divides the kitchen & family rm. Lrg sunken family rm features fireplace & staircase to 2nd level. 1st flr home office, laundry rm & mudroom w/ custom cabinetry. Some of the many architectural details throughout the home, include leaded glass windows, wainscoting, crown molding & hrdwd flrs. Master en-suite retreat, 2nd bdrm has additional en-suite, 3rd & 4th bdrms share lush Jack-n-Jill bthrm. 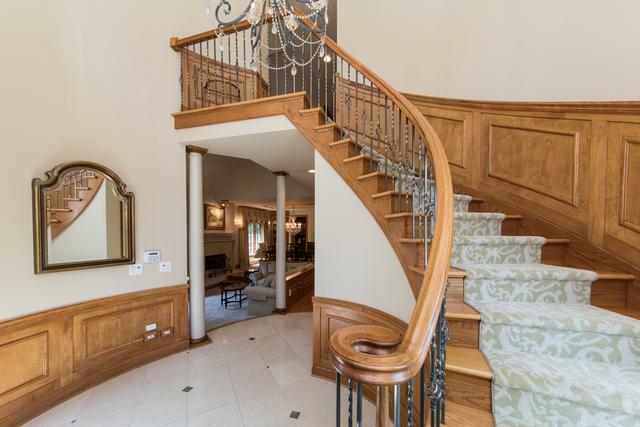 3rd staircase leads to attic and loft areas. Bsmt has 9 ft ceilings, radiant heated flrs, rec room, dance studio, & ample storage.